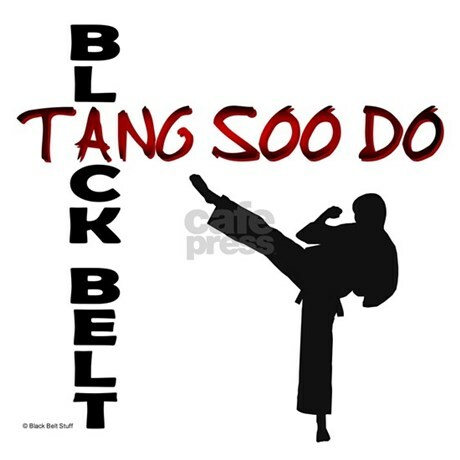 Tang Soo Do is a Korean form of karate that uses hand strikes, kicks, and blocks to defend themselves. It is a style that emphasizes breathing in its forms and practice, no contact or light contact sparring and the building of character. This form of karate teaches respect for the different physical moves within the art and for other people. In doing this, the practitioner’s goal is to stop an attacker with strikes as quickly as possible to prevent harm. Thus, the philosophy behind Tang Soo Do is one of peaceful confidence. Someone you may know that has achieved black belt status in Tang Soo Do is Chuck Norris. Last night it was my privilege to wait for results with my sweat-drenched sixteen year old grandson Jacob after he had endured a grueling two and a half hour black belt Tang Soo Do test. Five years ago at the age of eleven Jacob decided just to try this form of martial arts. One of his instructors is a former Marine who takes his job very seriously and has challenged his students not only in the discipline of their training but in the whatever life may throw at them. Jacob’s parents, his sister and brother, and his paternal grandmother and I waited quietly with fast beating hearts while the board deliberated whether or not the three practitioners had earned the right to wear that long worked for black belt. Finally the door opened, the practitioners were told to line up in front of the board and each were told that they had, indeed, won the privilege and the honor of wearing the coveted black belt. The main instructor told us how they had purposely pushed and tested Jacob and his fellow practitioners beyond what was needed in order to show them that every person is able to do more and endure more than they think they can ever do. He stressed to them that they would face many challenges in life that they would be able to get through if they do not give up. My heart was so full because first of all, I thought about how very proud my husband Bob would be of Jacob and of the fine young man he has become. I grieved that he was not standing there with us to see Jacob reach his goal and to rejoice with us. I knew that had Bob been there, he would have given Jacob a big hug and spoken heart-felt words of affirmation to him. But, my heart was also full because this was another testimony to me of the truth that God not only has pushed me way beyond what I ever thought I could endure in my life, but, in that pushing God daily gives me the strength to press on toward living the life I have been given as well as toward the goal of eternal life with my Savior that is ever before me. I looked at Jacob standing there with a sweaty ghee, wet hair, and tired yet hopeful eyes and it was so very obvious that he had given his all and had fought hard towards his goal and through all of the challenges that had been thrown at him in order to win that long desired black belt. That challenged me anew to never give up and to keep moving forward in my life now as hard as it is without my husband so that one of these days I can reach my goal with the strength that God supplies for me each and every moment in this journey. Thank you, Jacob, for blessing this grandmother’s heart and for reminding me that I can do all things through Christ who gives me strength (Philippians 4:13). Thank you for being a grandson that is loving, kind, obedient, goal-oriented and disciplined. Thank you most of all for living a life in Christ that is an example to me.